It's been a good start the summer: School is out which means PONSHOP classes are in full effect (more student work pics soon to come). I've been doing some commissioned work over the past month and I'm excited about the direction that the paintings have been going. "The New Babylon #1" is one of the recently completed pieces. Scarlett and I participated in the King George Art Show this past week. 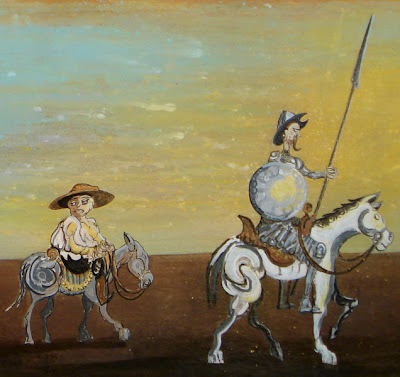 One of the pieces submitted, "Leaving La Mancha" received an Honorable Mention and was sold. The show runs until Sunday, June 29th. Click Here for more details.